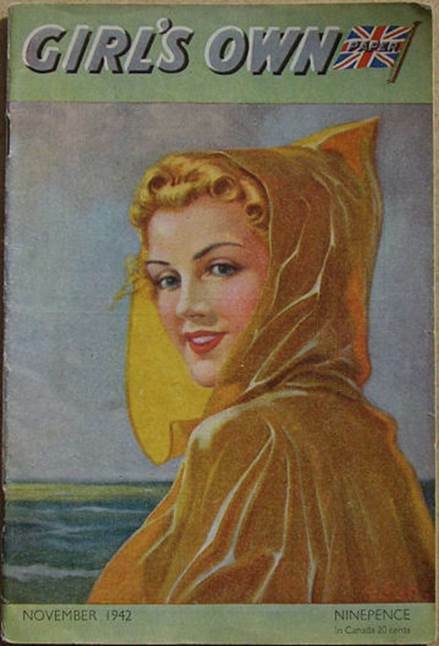 and describes the character of Worrals. 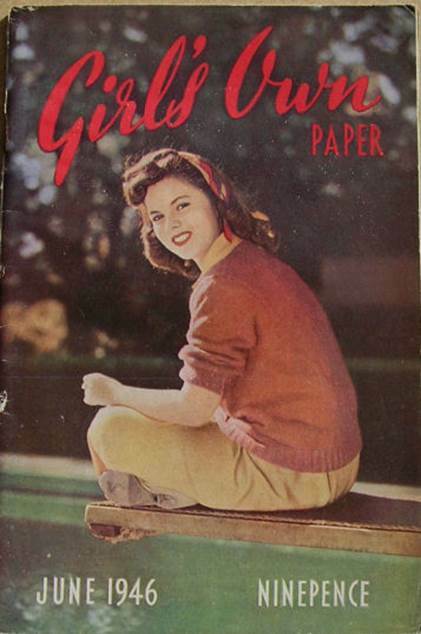 that I have included it in this guide. Click ‘view here’ above to see it. 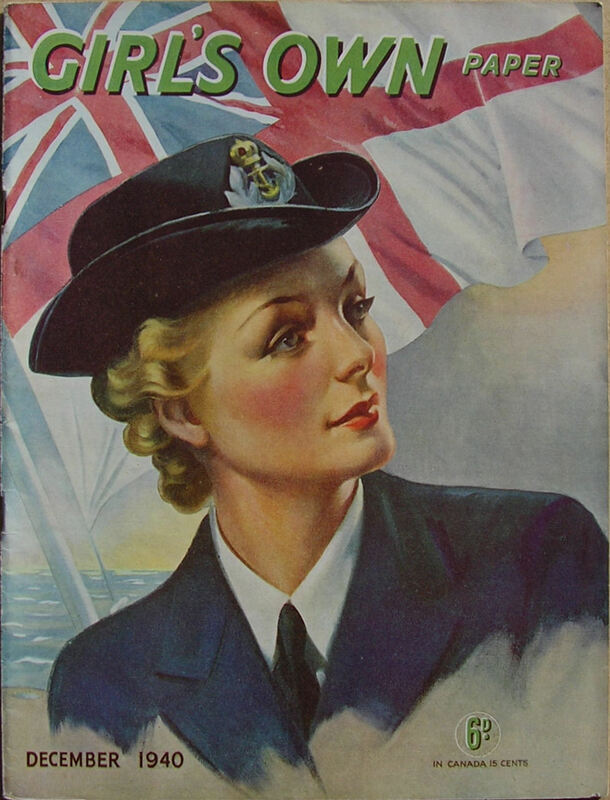 Captain W. E. Johns that I have included them in this guide. Click ‘view here’ above to see them. W. E. Johns that I have included it in this guide. 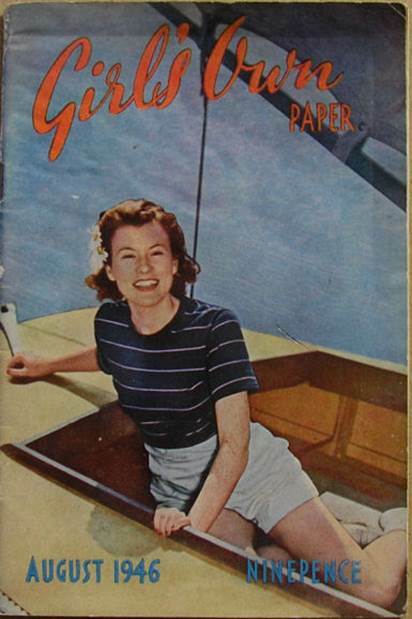 of Captain W. E. Johns that I have included them in this guide. The Girl’s Own Paper was first published on 3rd January 1880, virtually a year after the launch of the Boy’s Own Paper was first published on 19th January 1879. 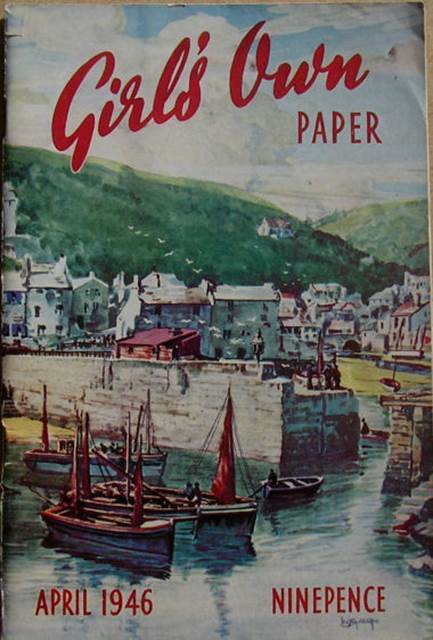 It was originally published by the Religious Tract Society but was taken over by Lutterworths Press. 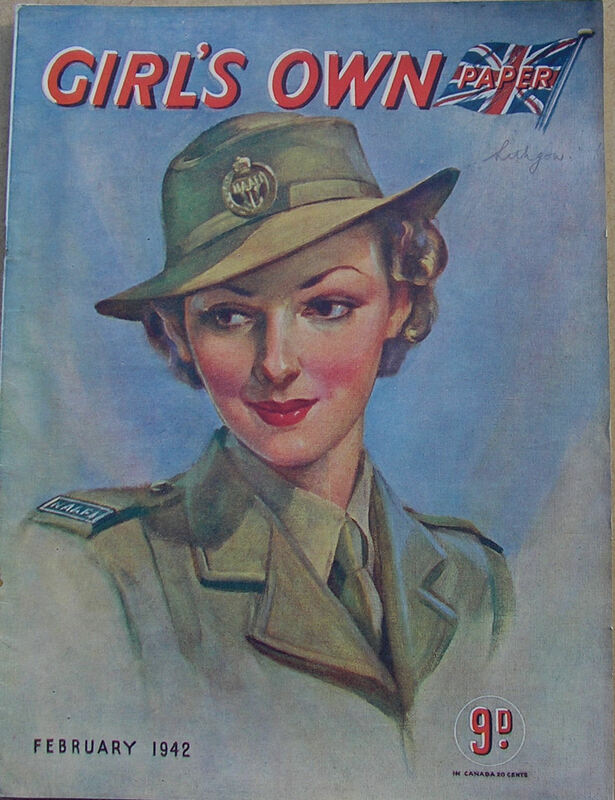 In October 1929, the title became Girl’s Own Paper and Woman’s Magazine but in 1930 the Woman’s Magazine became a separate publication. 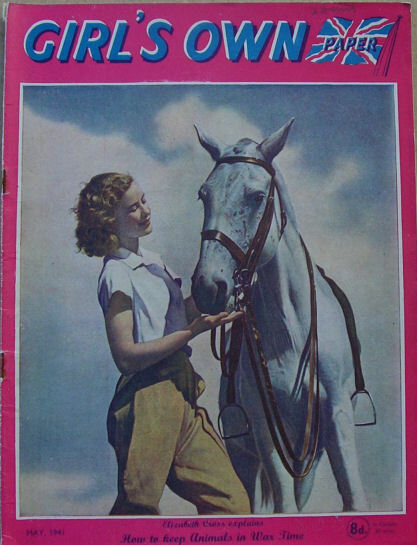 However the “Heiress” was in a far bigger font. 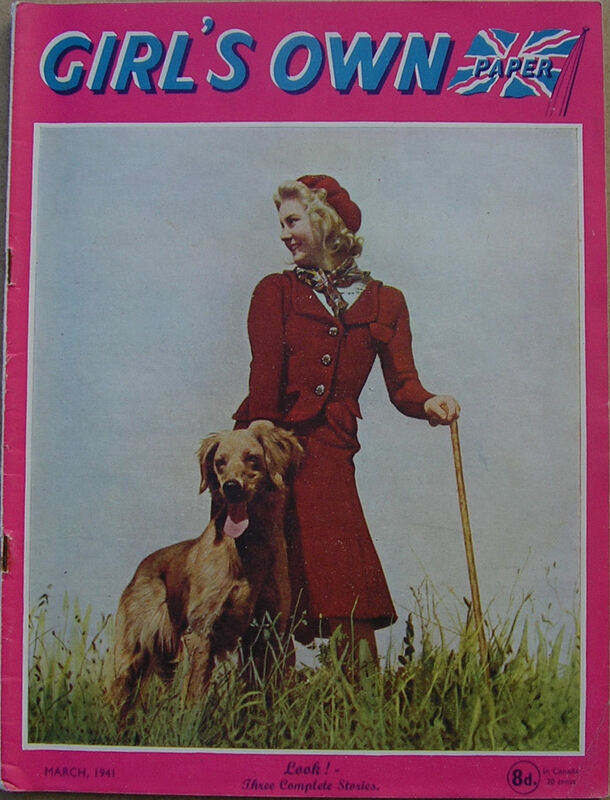 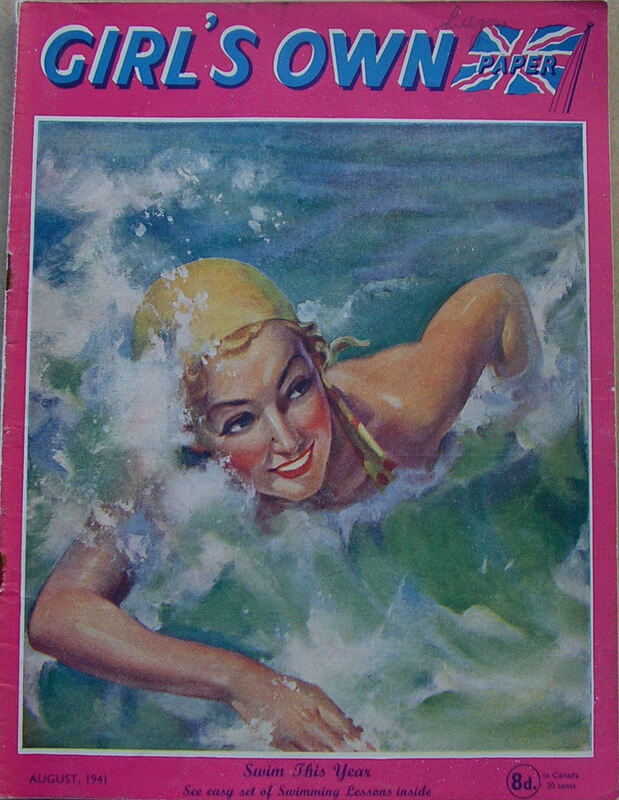 By 1950 the magazine was just called ‘Heiress’ with the tag line ‘The magazine for the older girl’. This change of emphasis may explain why the last three Worrals books (Worrals in the Wastelands, Worrals Goes Afoot and Worrals Investigates) were not serialised in ‘Heiress’. 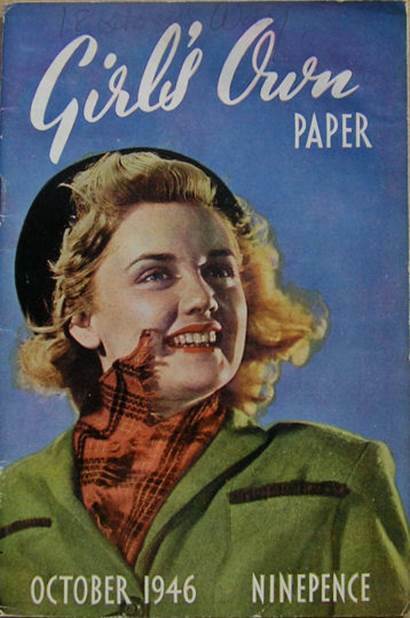 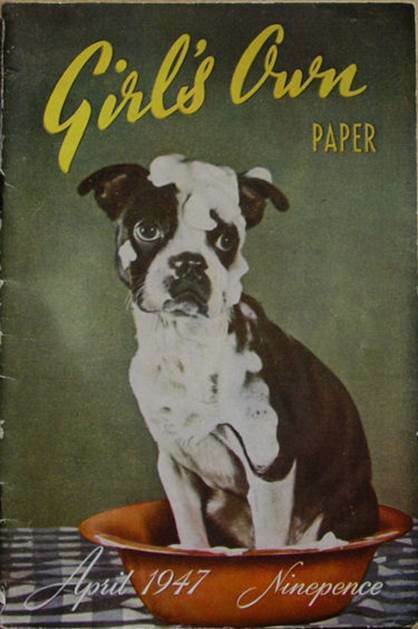 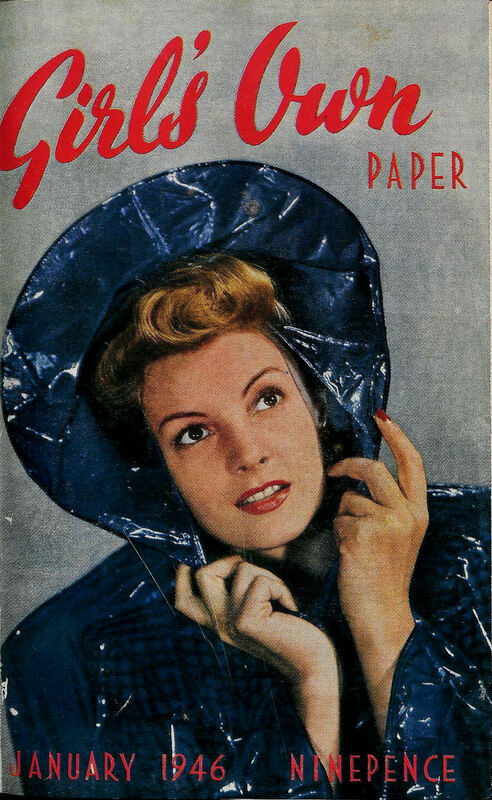 The Magazine finally folded in 1956. 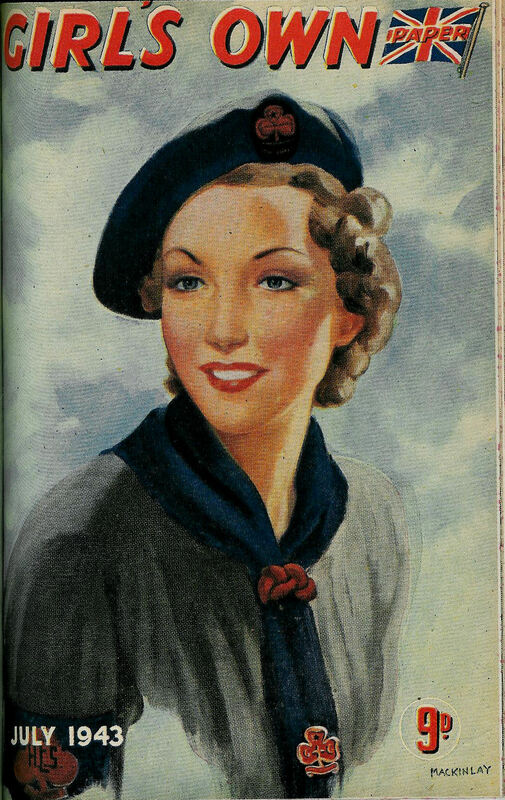 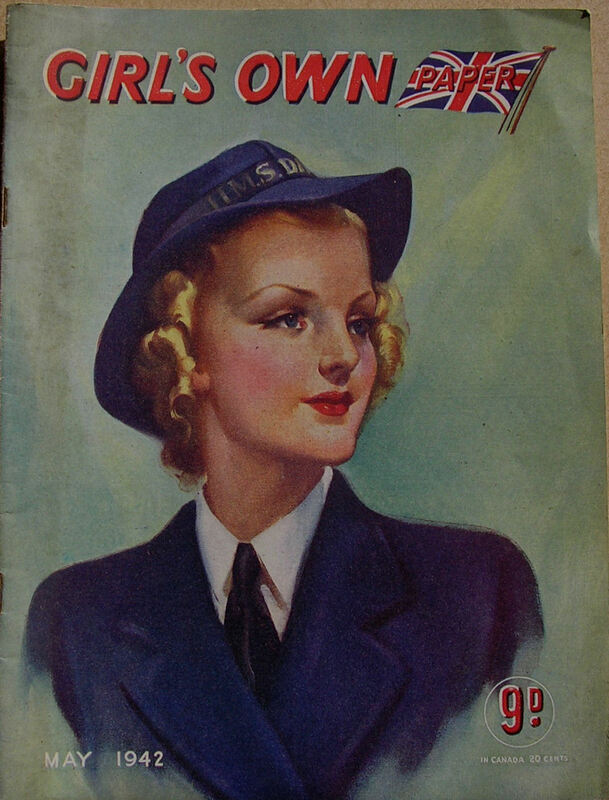 Johns first wrote an article for the “The Girl’s Own Paper” in APRIL 1934 and that article also appeared in “The Girl’s Own Annual LV” (Number 55), pages 327 to 329. 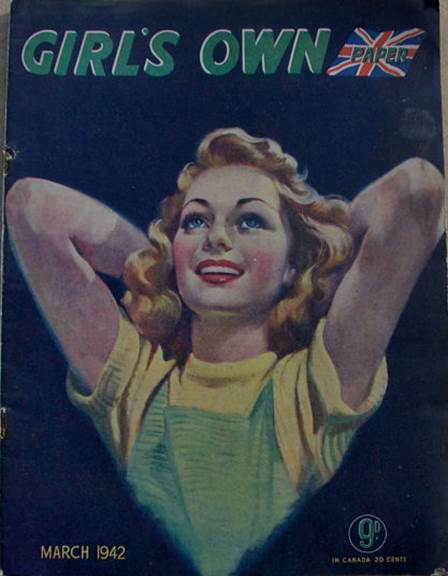 W. E. Johns had Worrals stories serialised in 60 issues of the Girl’s Own Paper which is a remarkable co-incidence because he had stories serialised in 60 issues of the Boy’s Own Paper as well! This site displays all the covers of the 60 W. E. Johns “Worrals” issues as well as the first “April 1934” issue. The magazine was edited from 1880 to 1907 by Charles Peters and from 1908 to 1931 by Flora Klickmann. 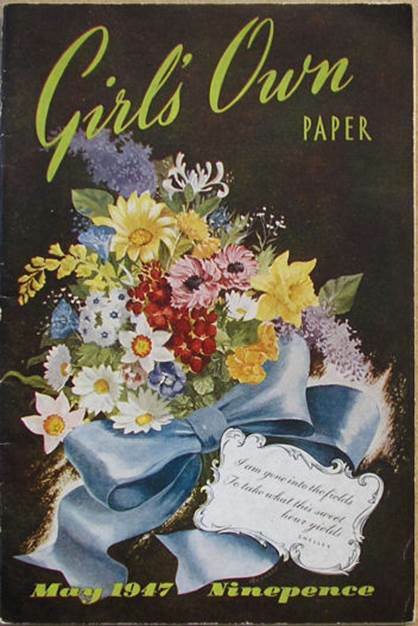 Gladys Spratt was the editor from 1931 onwards. 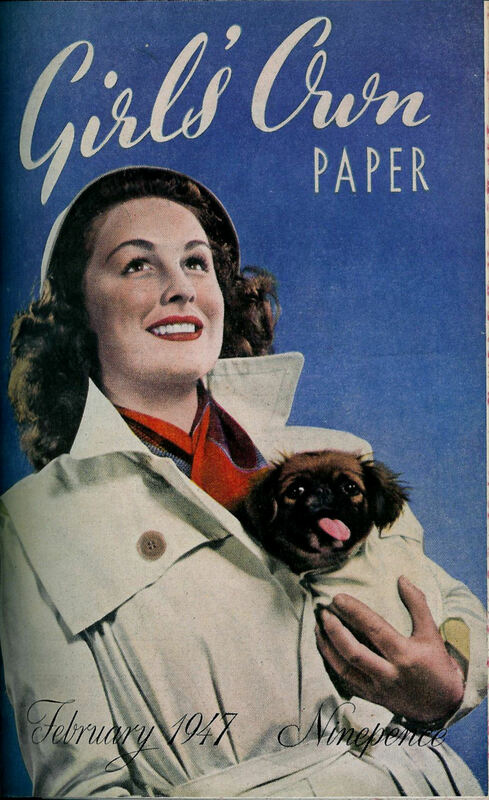 The magazine cost 6d in October 1940 and this increased to 8d in March 1941 and 9d in October 1941 (no doubt due to wartime shortages of paper). 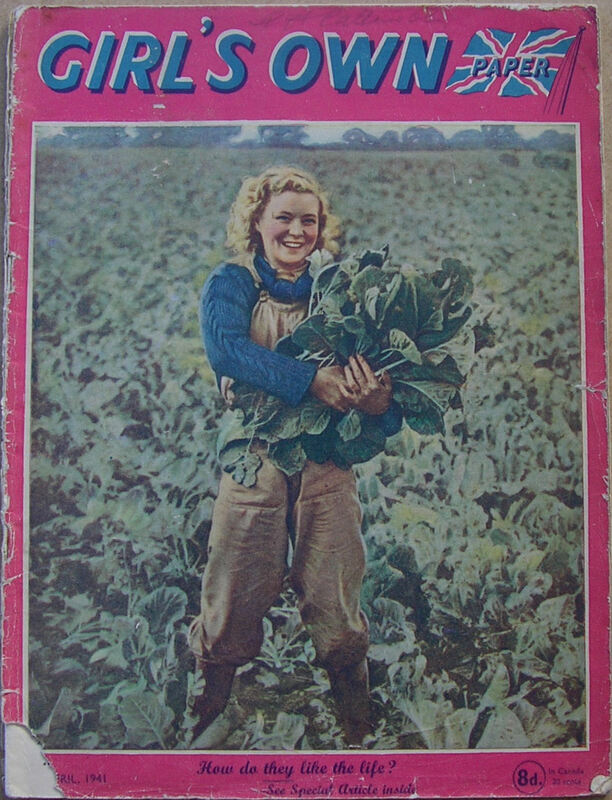 The price remained 9d until the 1950s. 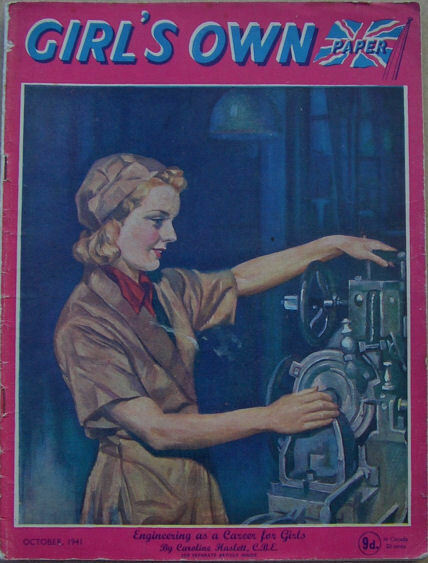 The numbering of the pages of the issues from October 1940 to September 1941 is unusual. 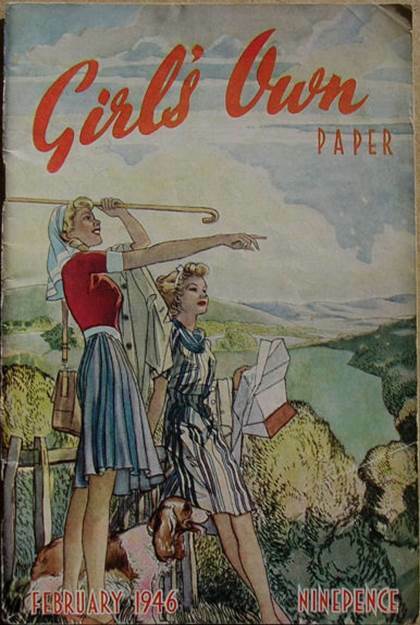 There are (usually) 16 pages numbered 1 to 16 but in the centre of these pages (i.e. between pages 8 and 9) there are 24 pages numbered, in the October 1940 issue, as pages 1 to 24. In the November 1940 issue, these pages then are numbered 25 to 48 and this progression continues until the September 1941 issue when the 24 central pages are numbered 265 to 288. These central pages, numbered 1 to 288 were then bound and published as THE GIRL’S OWN ANNUAL – VOLUME SIXTY-TWO. 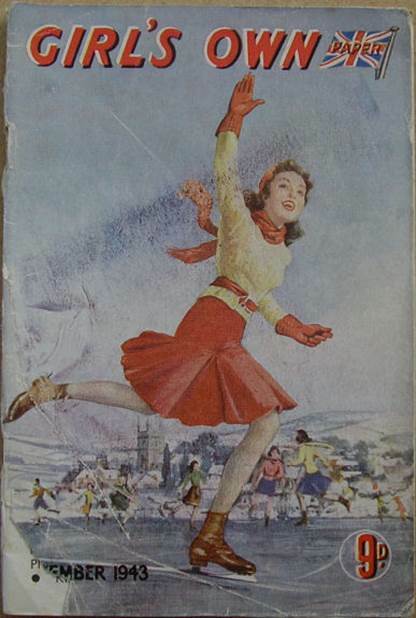 However, the Girl’s Own Annual Volume 62 didn’t stop at page 288. It actually had 480 pages! 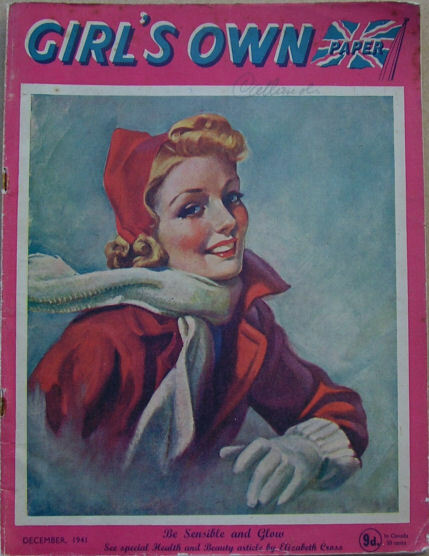 I haven’t been able to find out if these extra pages were ever published elsewhere, other than in the annual. What is of interest is that those additional pages contain THE RAVENSDALE MYSTERY by a certain William Earle, who was of course, W.E. 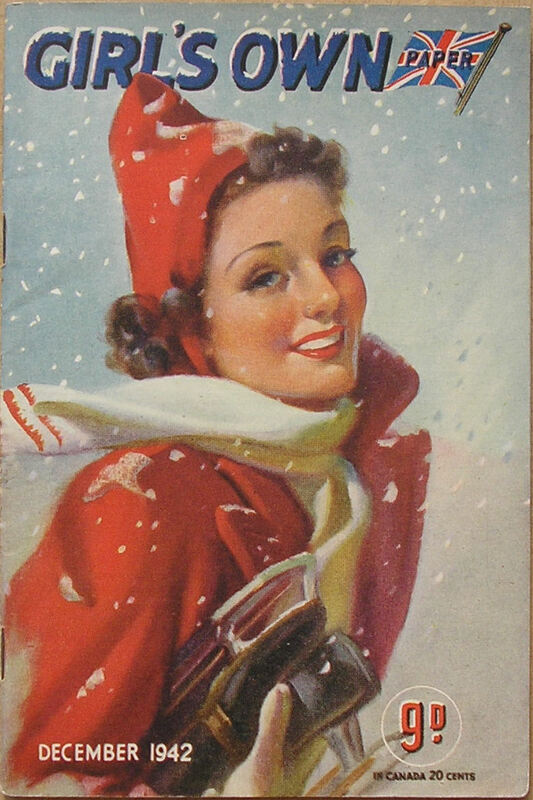 Johns! 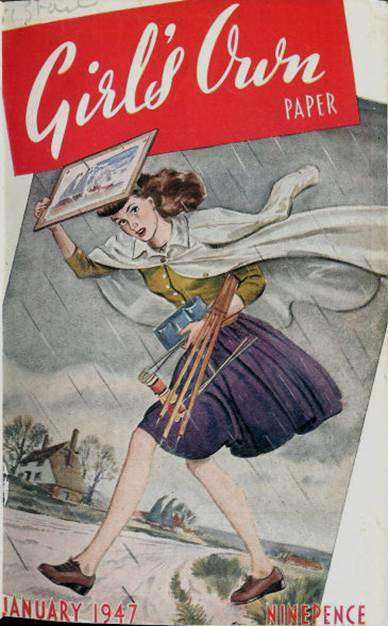 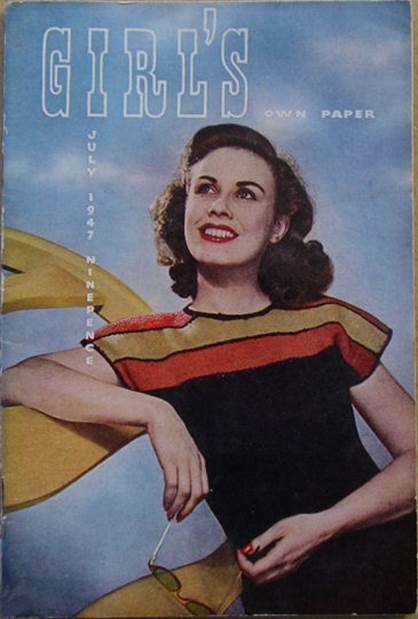 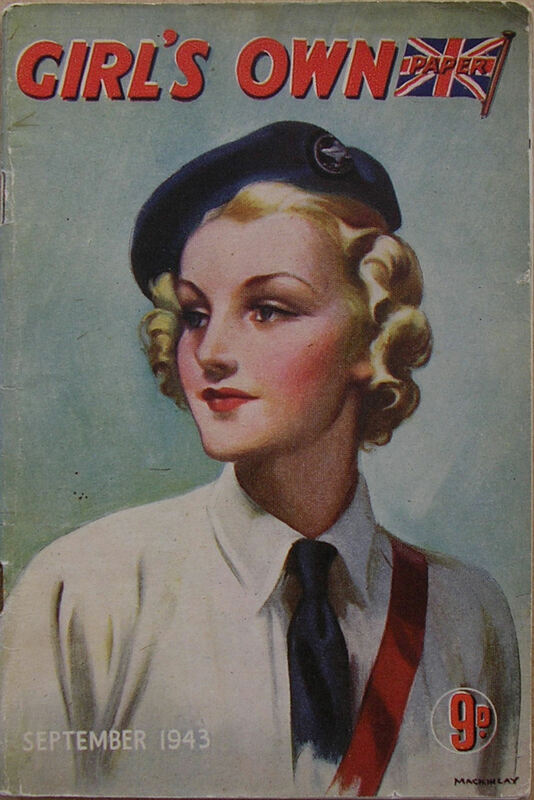 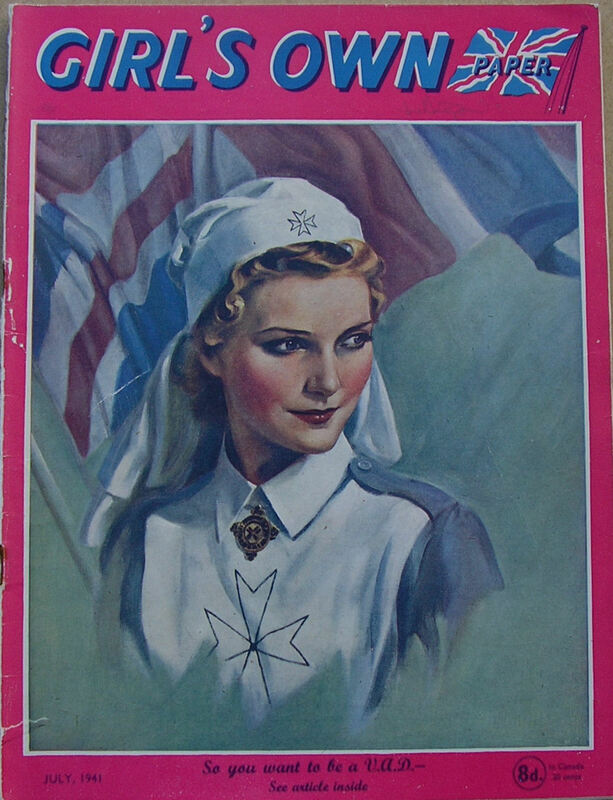 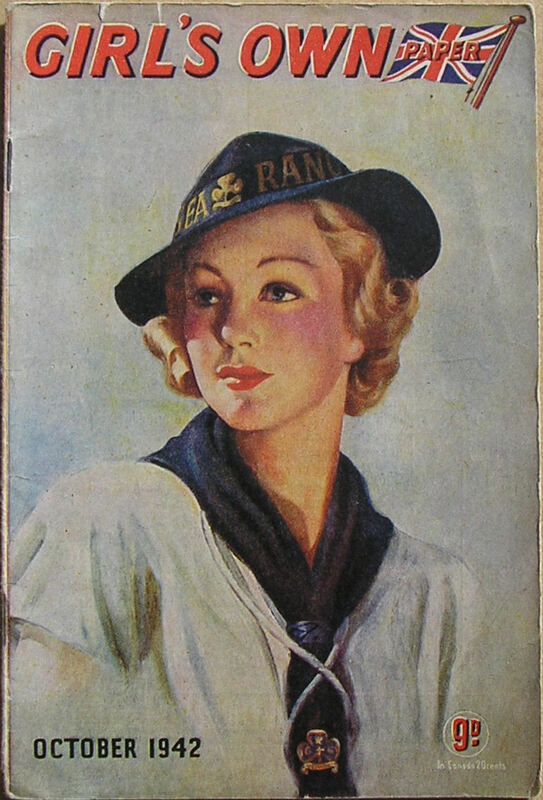 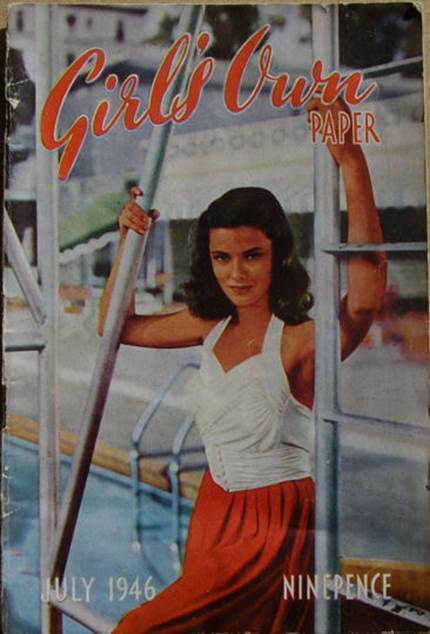 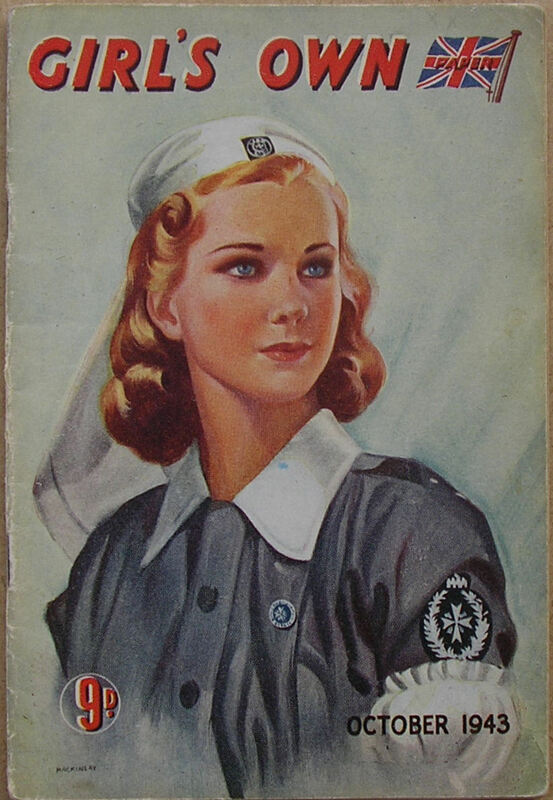 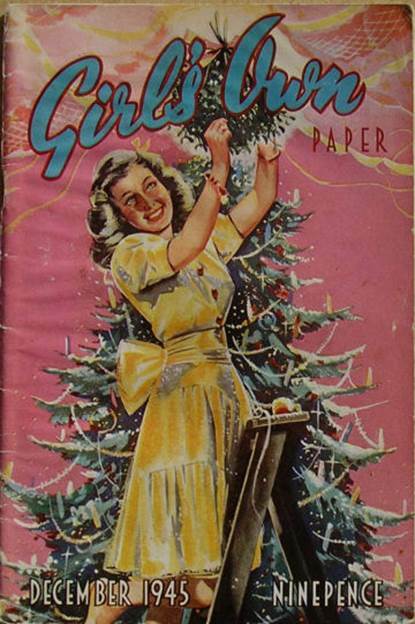 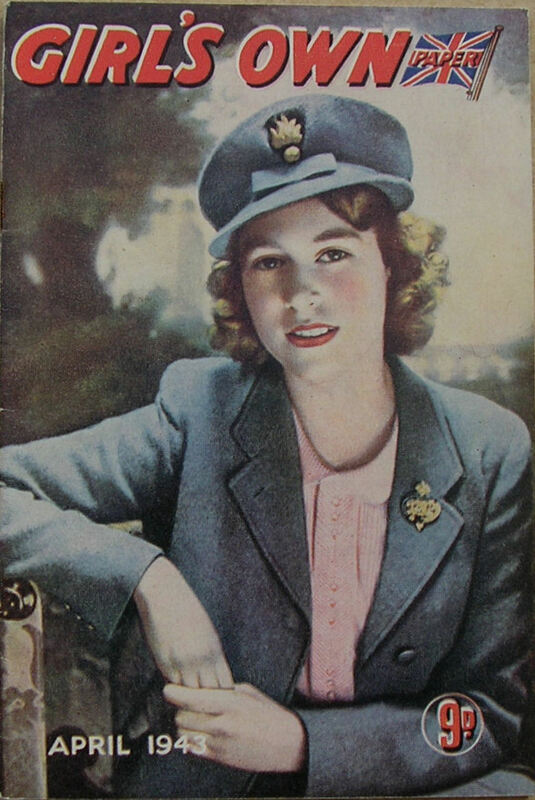 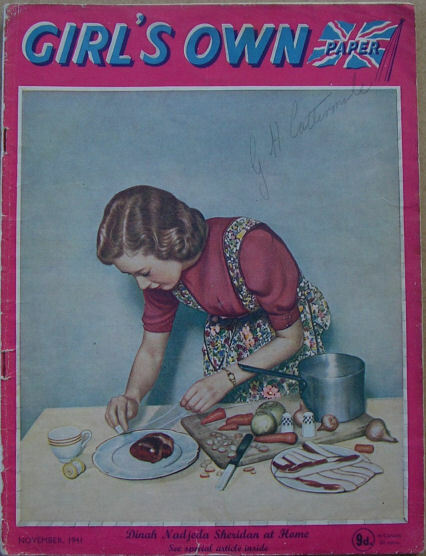 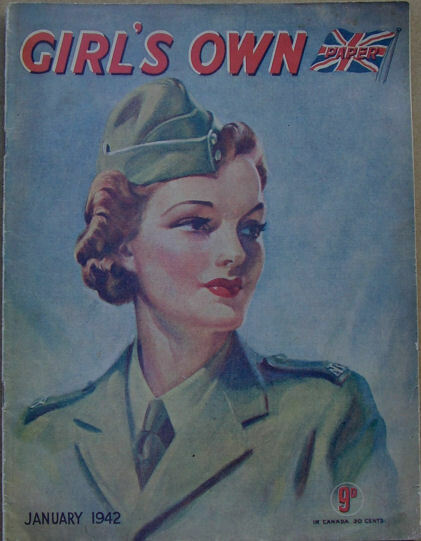 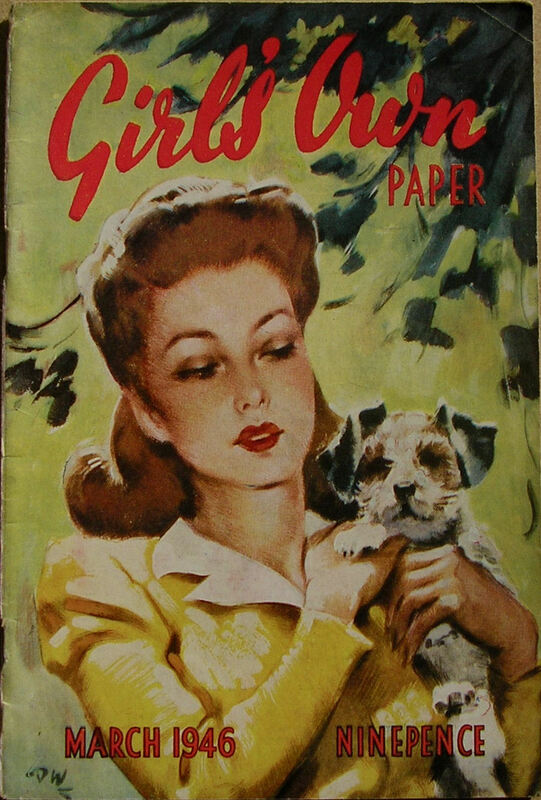 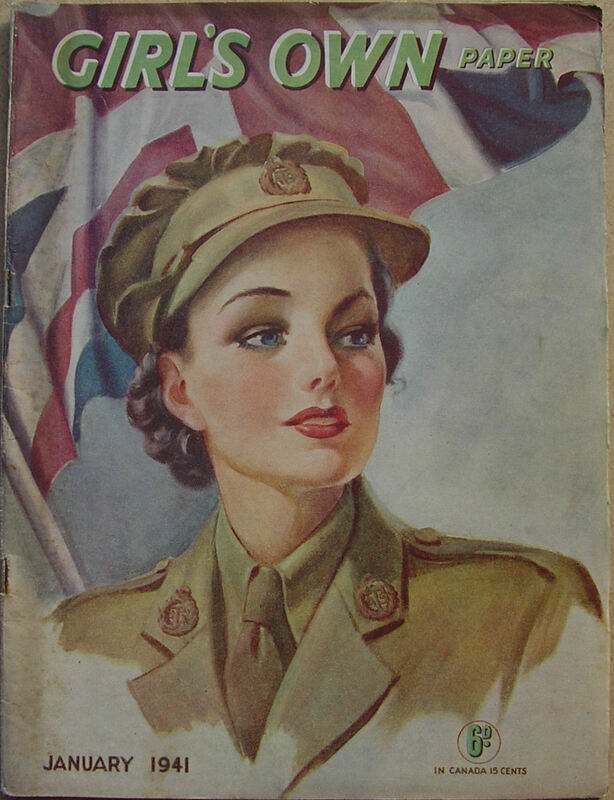 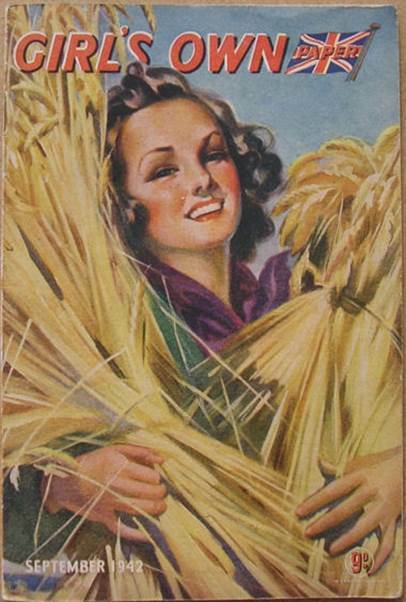 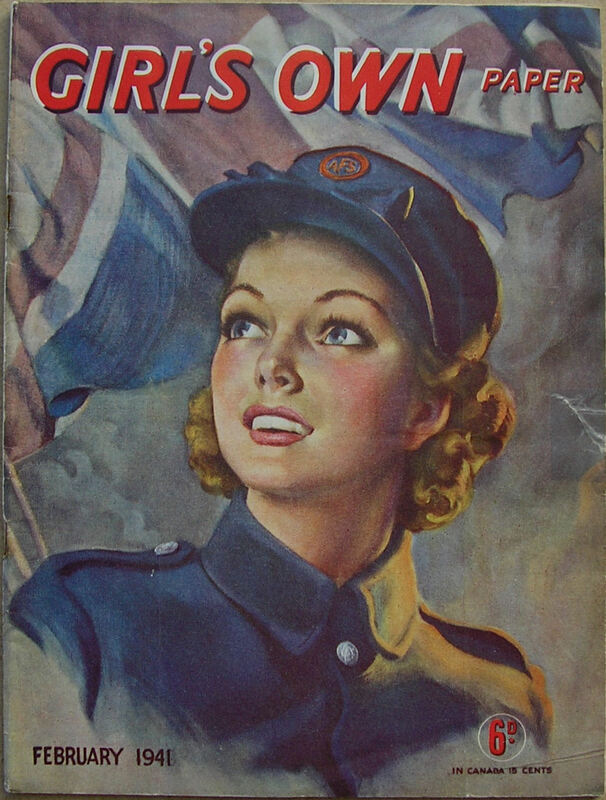 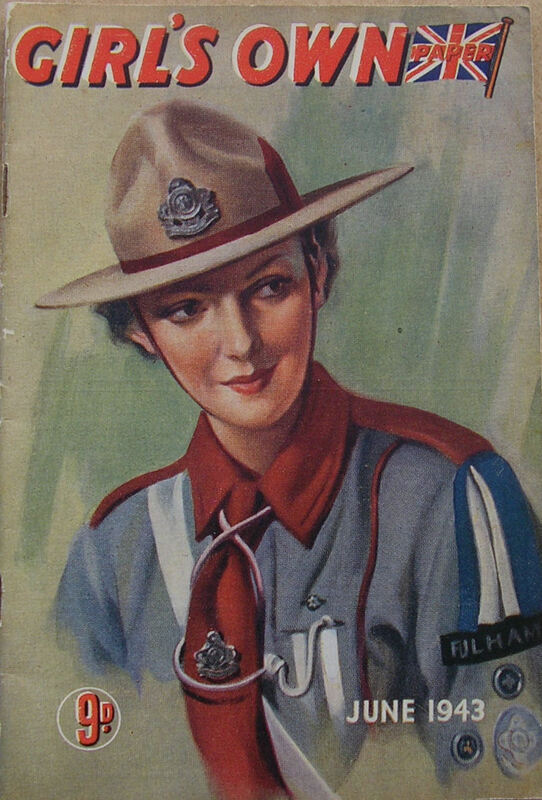 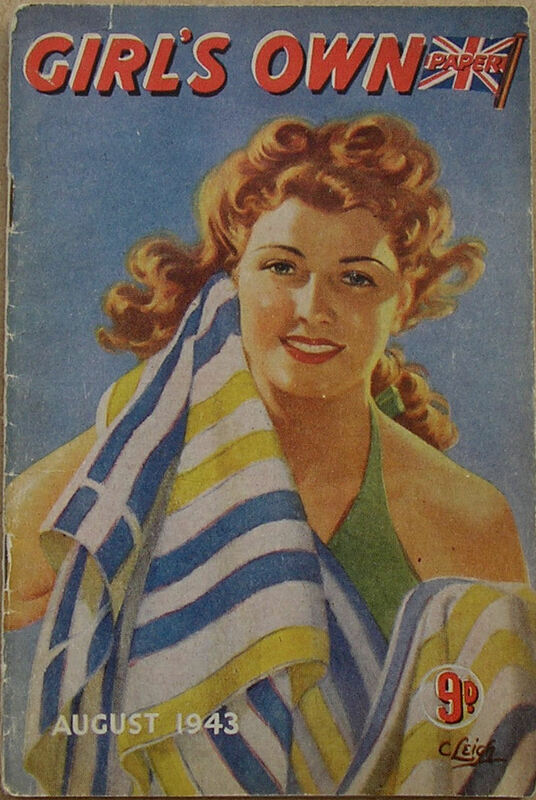 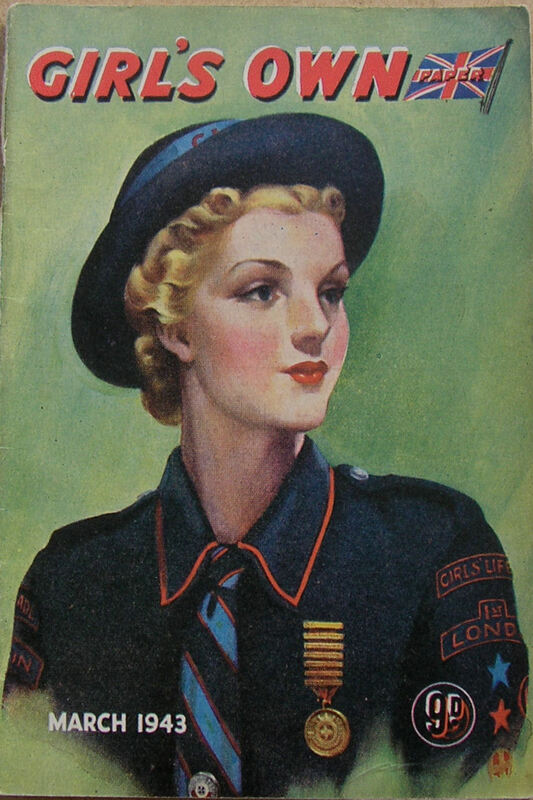 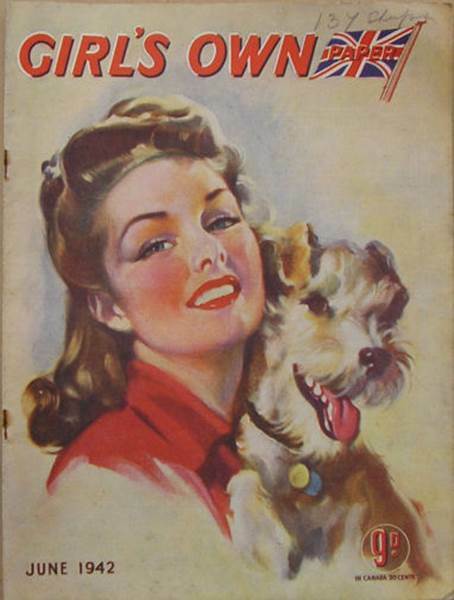 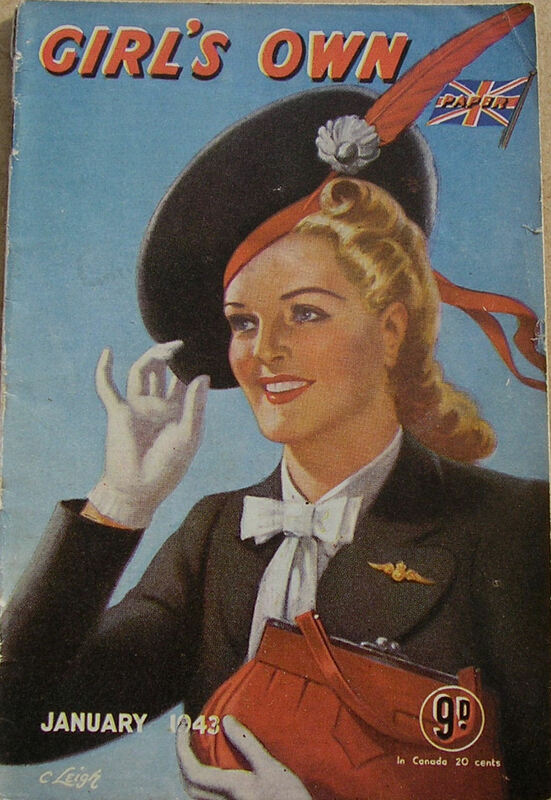 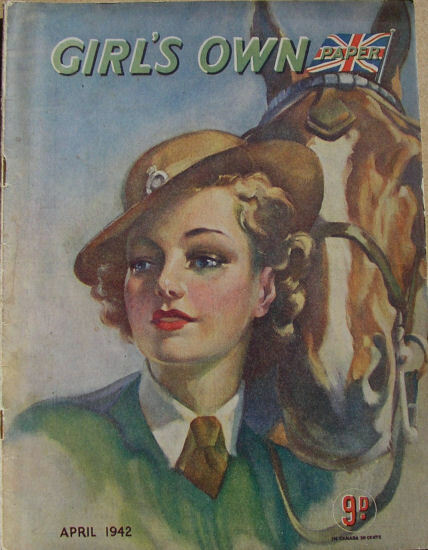 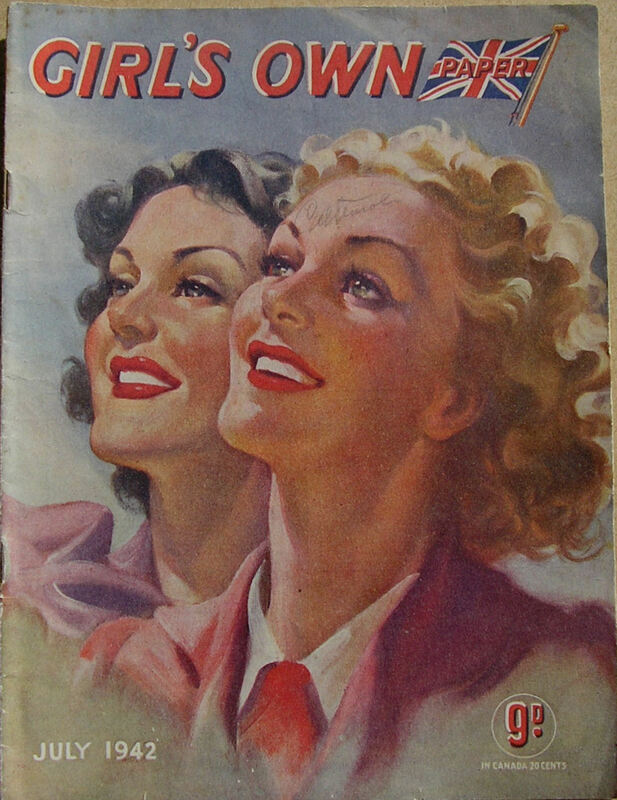 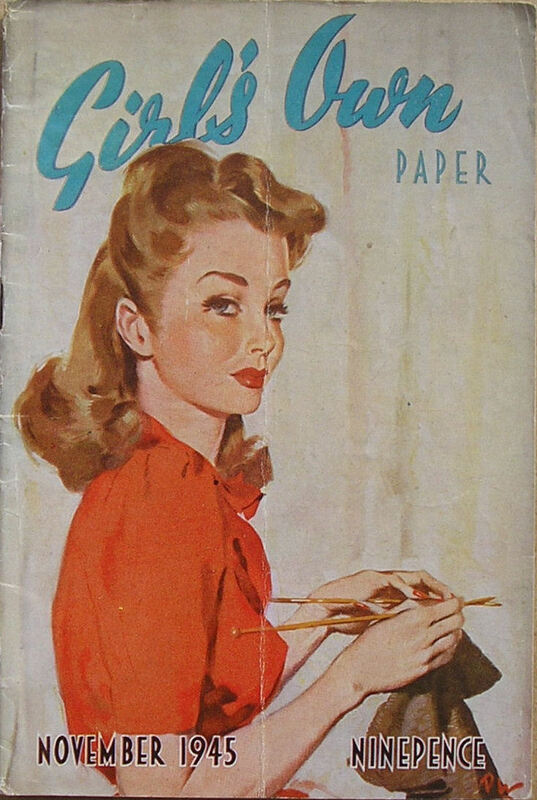 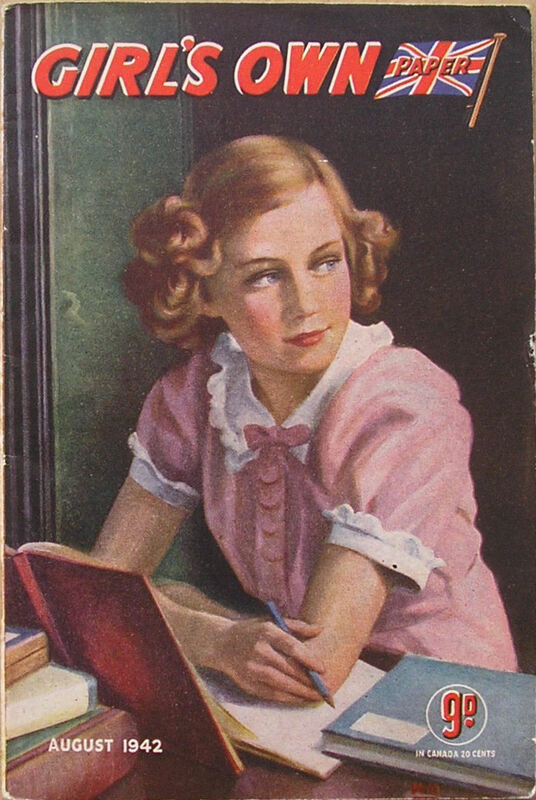 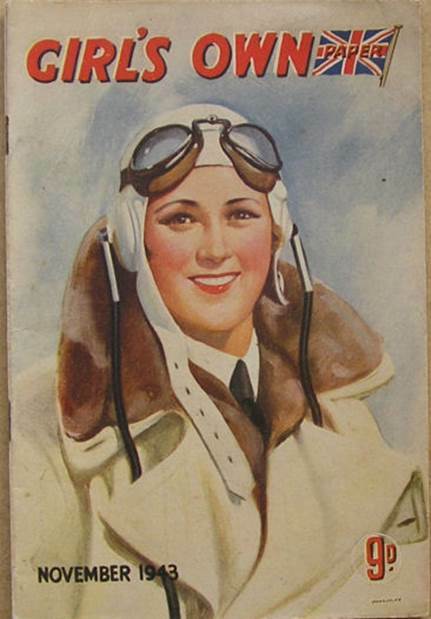 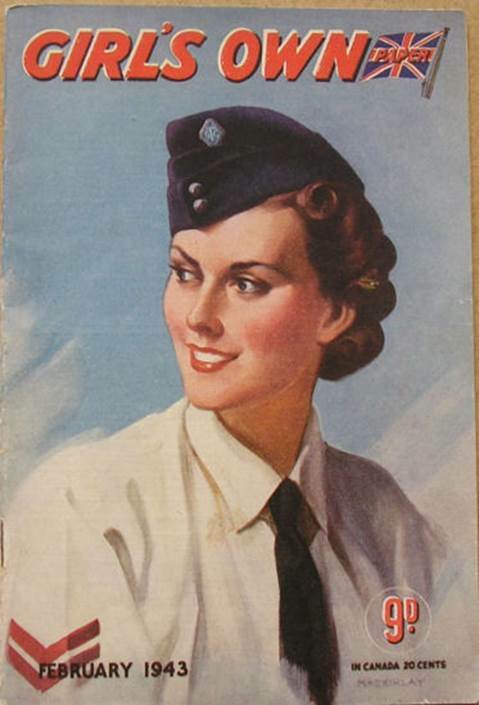 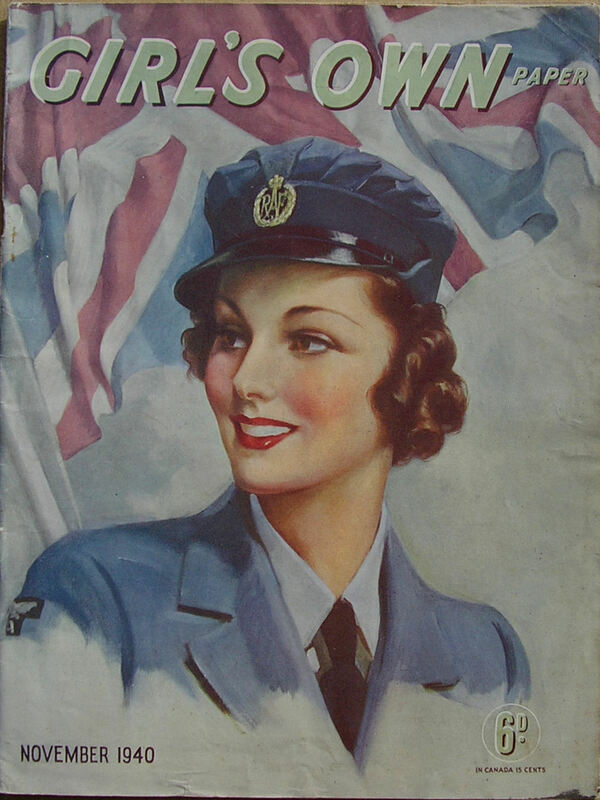 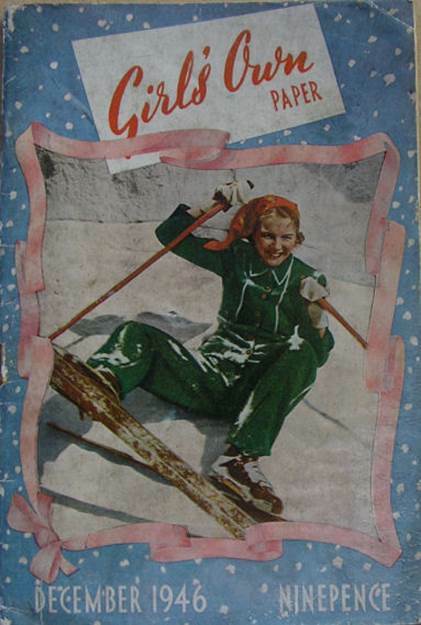 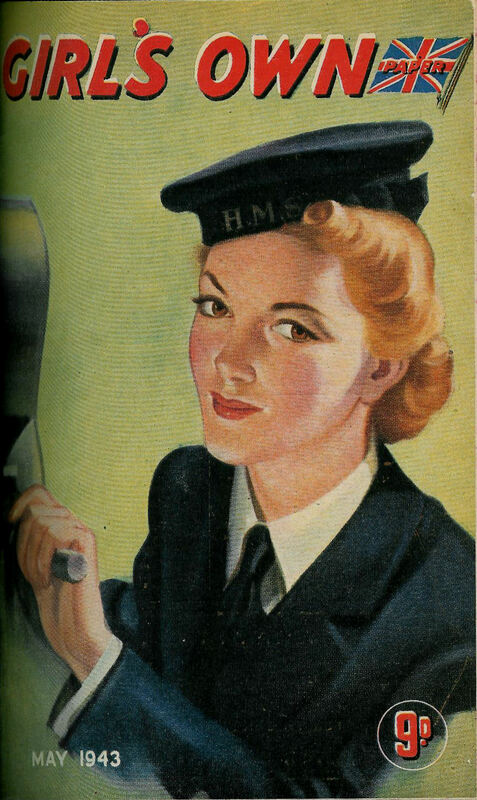 That was the last of the 62 Girl’s Own Annuals to be published – no doubt due to wartime paper shortages. 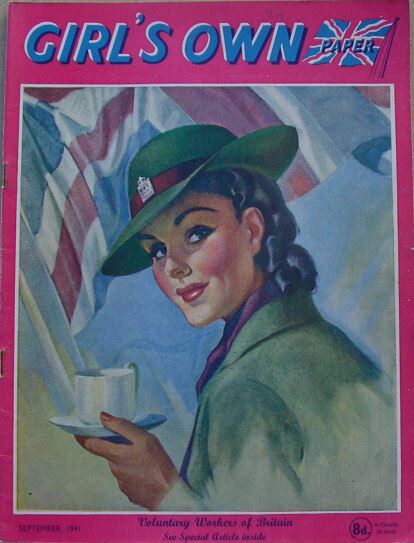 From the October 1941 issue onwards, the pages of the magazine are just numbered 1 to 40 in the conventional way. 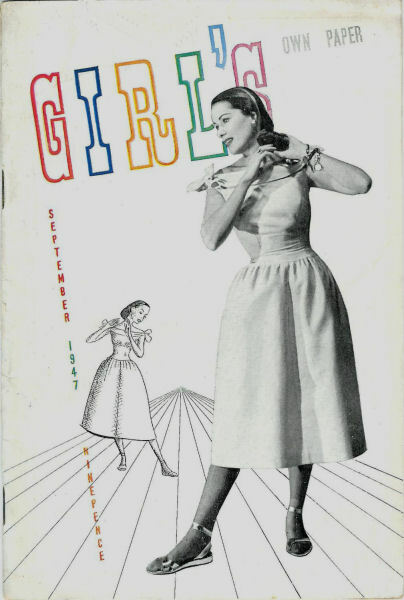 This web site actually took me many YEARS to build! 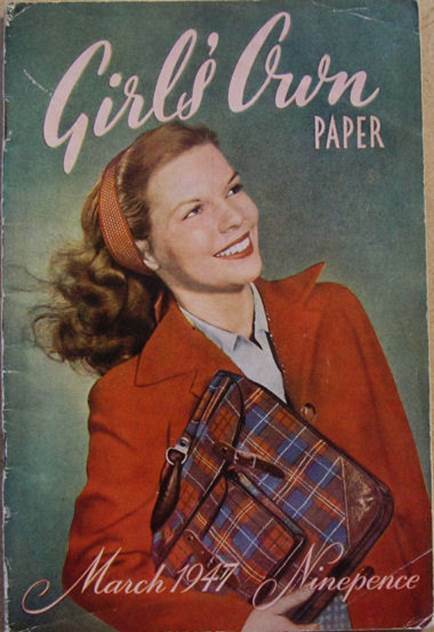 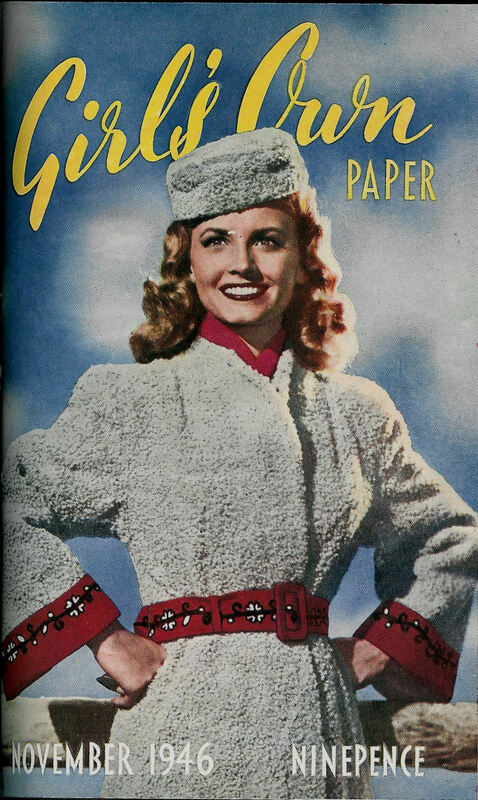 – simply because I found obtaining copies of THE GIRL’S OWN PAPER from the years 1940 to 1947 so difficult to do! 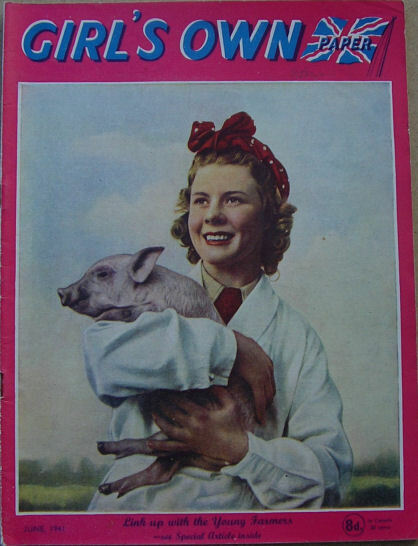 They appear to be VERY rare. 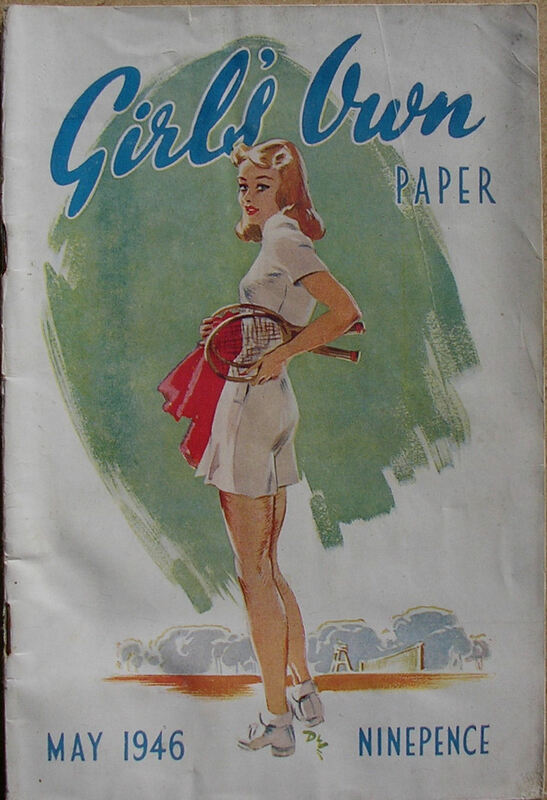 I believe this is because the wartime issues of the magazine strongly encouraged their readers to recycle copies to aid the war effort and I imagine British girls were particularly good at doing so, making copies scare. 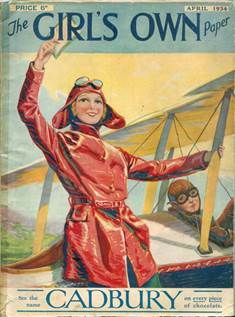 This website was launched on 1st April 2014 – the 82nd Anniversary of the creation of Biggles! 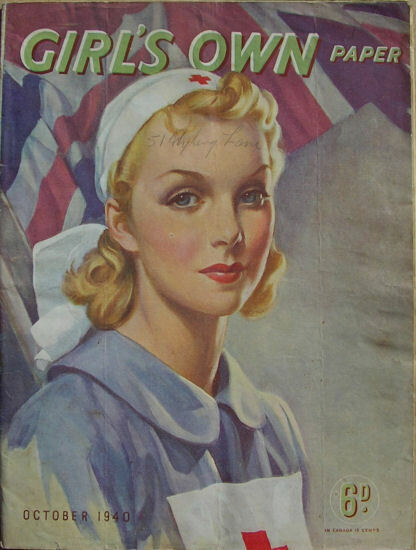 – but I didn’t get the one missing issue (June 1942) until 5th February 2015 – W. E. Johns 122nd birthday!